Decide which blend of herbs you want to use: herbs for dark hair, light hair, or red hair. Place 1 cup of the appropriate herb blend in the glass jar. Strain, label, and date. Store in a cool, dark place. The herbal vinegar will keep at least several years. 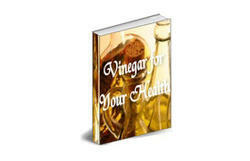 To use, dilute the herbal vinegar with an equal amount of water to fill the squeeze bottle. After shampooing, squeeze about Vi cup of the vinegar rinse over your hair. Keep your eyes closed as you massage the mixture into your scalp for a few minutes, then rinse.